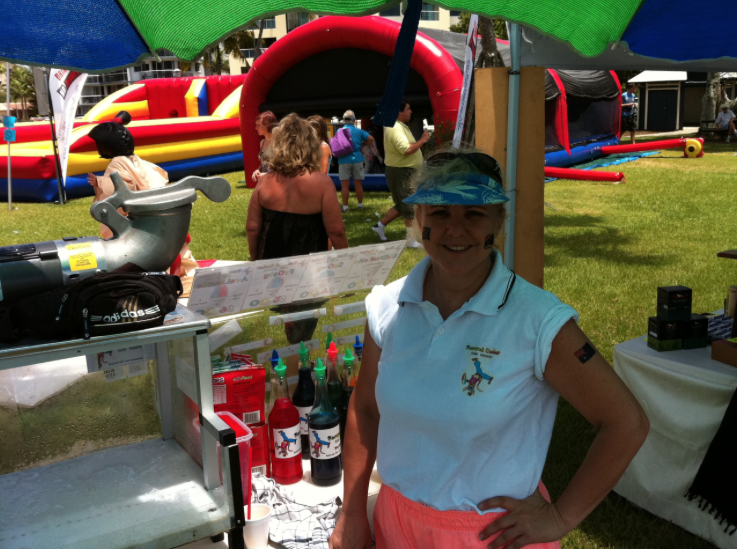 Today’s Featured Guest is Rosanne Buzai, Co-Owner of Snowy Joey. Today’s interview with Rosanne Buzai’s story demonstrates that just because you go into something with the intent of starting a small, part-time family business, doesn’t mean you can’t grow and scale the concept further down the line. When Snowy Joey got started and operated primarily on weekend’s as a way for Rosanne Buzai’s son to earn some spending money and learn the basics of owning a business. Fast forward almost 10 years and Snowy Joey has generated well over $1 million dollars in sales, has numerous part-time employees, and most impressive has been able to raise over $100,000 toward worthwhile charities and clubs. In the podcast, Rosanne’s shares the details of how the Snowy Joey shaved ice business got started and how you can grow the same type of business for yourself or your family. We also discuss the types of events that can be most lucrative for this business, the equipment you’ll need to purchase like a shaved ice machine. Rosanne is also candid about the different challenges that exist with this business model and the hurdles you’ll need to jump in order to grow beyond a sole operator. If you’ve been considering a shaved ice business of your own, you won’t want to miss out on this episode. This is part 1 of an interview with Rosanne and next week we will be bringing you the rest of their story. Rosanne’s son Chris was about to graduate from high school and looking for something to do in between starting at university. Unlike a lot of other kids his age that would be satisfied to goof around with friends for a summer, Chris was looking for a project or something that he could work on over the summer. Unlike most parents that might recommend going out and getting a minimum wage job to earn a few extra dollars for summer, Rosanne recommended something different. Instead of entering the workforce, Rosanne reccomended looking around their local area for gaps in the marketplace and writing a business plan to see what opportunities might exist in the area. If there was an opportunity that looked right, they could decide how to pursue it. After about a month or two of research Chris came back to Rosanne with an idea and plan to make it happen. There was just little one problem that gets in the way of many would-be entrepreneurs starting a business… Money. “I said yes very good. That’s the first thing you need when you start a business. You need some cash, or you need some investors, or you need to borrow the money,” says Rosanne. Instead of going with the original cash intensive startup idea, Rosanne suggested starting smaller that would require less up front capital risk like a snow cone business. About two weeks had passed by after that conversation and Rosanne was looking through the classified ads at what was for sale and saw that someone wanted to sell a used snow cone machine. Viewing this as a good opportunity to teach her son about negotiating, they went to speak to the owner and ended up paying just over $1,100 for their first machine. After jumping through a few additional hoops in regards to getting the appropriate health regulations and permits for their area, Snow Joey was officially in business! After investing in the equipment and getting the required vending permits, it was time to finally setup shop and test the business plan. The plan was to keep the operation small at first so that the business could be run by just a single person. The first event Snowy Joey booked was at a local car dealership. This opportunity didn’t yield much in terms of revenue so they decided to try sporting events instead. The first attempt at a local sporting event turned out to be much more profitable and delivered a respectable number of sales for day. From then on weekend sporting events would be the focus on the business. Chris attended university during the week and ran the business part-time on the weekends making solid money. One important point to draw from this story is that Rosanne and Chris didn’t give up or assume their snow cone business wouldn’t work just because their first effort at the car dealership didn’t work out the way they had hoped. Instead the mother and son team just looked for a different type of event that might be more profitable. You will need to approach the shaved ice business with this exact same attitude if you want to improve your odds of success. Snowy Joey in action at an event. 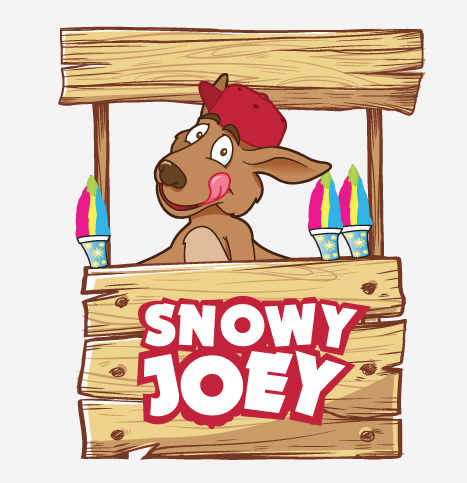 The first few years of the business, Snowy Joey was a simple but profitable business that operated on the weekends. But eventually while attending a networking meeting, the opportunity to purchase another used snow cone machine for about $1,800 was presented. Rosanne decided this was a good opportunity to expand the business and purchased the piece of equipment. Snowy Joey now could attend two events on a single day and increase their revenue further. Just like the first machine, Snowy Joey continued to operate on weekends using their second machine and hired out close friends or family members to operate the event. This allowed Snowy Joey to grow without taking on much additional risk by hiring a full-time staff and could pay help on an as needed basis. After operating with two snow cone machines for a period of time, Snowy Joey decided to get more ambitious and ordered five more machines from the United States. That meant a total of seven machines for the business. Prior to this point, Rosanne had never managed the number of employees that would be required to manage a snow cone business that would be simultaneously vending at seven different locations at a single time. In the early days, Snowy Joey had a simple process they used to identify events they would participate in a secure new business. If you watch the video below, Chris from Snowy Joey provides the simple process he uses to identify high value events that have a better chance of generating $500 per day in revenue. Step 1: Find an event that might work to sell snow cones. This could be a school event, fundraiser, charity event, 5K run, craft show, music festival or just about any other place where people gather. Usually you won’t need to work too hard to find out about some of the events in your area. Just keep your eyes and ears open to things that are happening related to school, church, or community events. You can also find a list of upcoming events published on most city websites. Step 2: After you find an event you would like to attend, you need to reach out to the event to see if you can vend there. Usually, Snowy Joey will contact people that run a specific event by email and let them know they would like to attend and what they have to offer. This is followed up by a telephone call to discuss details. It is a simple process that you can follow to generate business as well. Step 3: Attend the event. After finding and booking an event all there’s left to do is attend the actual event. Make sure to provide excellent customer service and be friendly to everyone at the event so that you are invited back. Also, make sure to show up on time and dress in a professional manner that way you can start to build trusting relationship to the organizer of that specific event. Pro Tip: You can learn more about finding profitable shaved ice vending locations in this post. In the first few years of operating Snowy Joey, the company had benefited from the weather. There was a long period of drought with hot weather and little rain, the perfect situation for snow cone sales! However, after acquiring five more snow cone machines the drought in Queensland ended and rainy weather appeared. The rain situation became so extreme that it really began to eat into not just the profitability, but the savings of the business. After all, not as many people want to purchase a snow cone or attend an outdoor event when it’s rainy, cold, and windy. Just like when the business was starting out and had to figure out the types of events that would generate a profit, Snowy Joey started to look at other ways their business could generate income. “That’s when we started looking at selling syrups and that’s when we looked at what we can do with hiring out and that’s a really big part of our business now,” explains Rosanne during the interview. About 50% of Snowy Joey’s overall revenue now comes from doing charity events or fundraisers with different organizations that need to raise money for some type of cause. At these events, Snowy Joey will contribute a certain percentage of their sales to each organization so they can accomplish some type of goal. The other 50% of revenue comes from what we would call catering events in the United States. A company or a university will pay for Snowy Joey to attend their event and hand out free samples to attendees. This is helpful to a snow cone or any other type of mobile food business because you know exactly how much you will make at an event before you attend. Rain or shine, you’ll be compensated for these events making them extremely desirable from an operator standpoint. Snowy Joey has successfully diversified their business even further in recent years to ensure the business is even more resilient. You can now purchase Snowy Joey branded syrups, popcorn, and fairy floss (also referred to as cotton candy in the United States). Each of these products benefits the businesses bottom line and enables them to be more profitable at each event. Stay tuned for part 2 of this series about starting your own shaved ice business. In the next podcast, we will dive deeper into the topic of day-t0-day operations and the nitty gritty of running this type of business successfully.